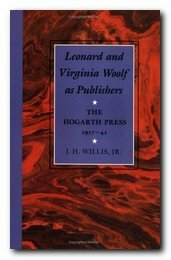 The Hogarth Press was established by Leonard Woolf in 1917 as a therapeutic hobby for his wife Virginia Woolf who was recovering from one of her frequent bouts of ill-health. It was named after Hogarth House in Richmond, London, where they were living at the time. Its first manifestation was a small hand press which they installed on the dining table in their home. They also bought two boxes of type, which was used to hand-set the texts they produced. Working from a sixteen page instructional handbook, they taught themselves how to set the type and print a decent page. What started as an amateur diversion became one of the pillars of European modernism. 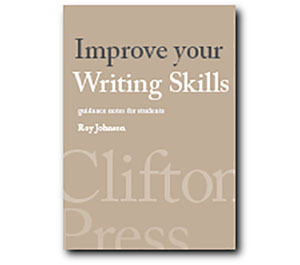 He also follows the development of many of its best-selling titles, and there’s a full account of the social and cultural development of the press, as well as the minute details of its finances which Leonard Woolf left behind as a legacy of his administrative skills and background. The press is best known for its fiction, but it also ventured into poetry – supported by a £200 a year subsidy from Dorothy Wellesley. But despite attracting many of the brightest young talents of the inter-war years, none of these publications broke even. The whole enterprise was kept afloat by its best-selling stars, who just happened to be the one-time lovers Virginia Woolf and Vita Sackville West. Leonard Woolf is rightly famous for his shrewd commercial judgements and his fanatical bookkeeping, yet the press also took on an amazing range of authors – from an unknown sixteen year old girl (Joan Adeney Easdale) to the ‘working class’ John Hampson (Saturday Night at the Greyhound) and arch modernists such as Gertrude Stein and Rainer Maria Rilke (The Notebooks of Malte Laurids Brigge). What’s not so well known is that the Hogarth Press published a great deal on politics – from polemical essays on current affairs to substantial works of political and economic philosophy, particularly anti-imperialism and the promotion of internationalism, which was of particular interest to Leonard Woolf. A measure of his astuteness as a businessman was his publication of Mussolini’s article ‘The Political and Social Doctrine of Fascism’ in 1933. The Maurice Dobbs and the Sidney Webbs of this era published books and pamphlets arguing that Soviet communism offered a positive alternative to the nationalism and imperialism of the European powers which had led to the horrors of the First World War. Their fundamental error, now more easily observed with the benefit of hindsight, is that they took all the data for their analysis directly from the Soviet regime itself, which we now know was based on lies, falsehoods, corruption, and deceit. They were bamboozled, and didn’t check their facts. Few escaped the God that Failed embarrassment – but Leonard Woolf was one of them, and he deserves to be more highly regarded because of it. It’s interesting to note that many of the same issues which are being debated at the end of the first century of the twenty-first century were alive eighty years ago – educational reforms, anti-Imperialism, international finance, unemployment, and capitalism in crisis. Willis’s account also features the strained and often difficult relationships which were created when Leonard Woolf took on assistants and partners in the firm – the best known of whom was John Lehmann, who had two periods of tenure. The partnership approach foundered because Leonard insisted on sticking to his independent commercial practises, and in the end he was proved right. He was also right in his judgement that the English-speaking world was ready for psycho-analysis and the works of Freud. He took the bold step of publishing translations (some by friends, James and Alix Strachey) of the International Psycho-Analytic Library, as well as Freud’s Collected Papers. This is a fascinating work which embraces literature, poetry, politics, feminism, international affairs, the mechanics of publishing, and a general account of cultural history in UK of the inter-war years – sometimes referred to as ‘the long weekend’. There are three ideal audiences for this book: fans of Bloomsbury who want to know about one of its most productive enterprises; bibliophiles who are interested in a company which produced fine objects which were culturally significant but still made money; and cultural historians who might wish to ponder the significance of an enterprise which started out as a table-top hobby and became a major national cultural force.